Lennon Marijuana is a very powerful feminized hybrid Marijuana strain with a great long-lasting psychoactive effect and an intense Haze flavour. Lennon is a feminized hybrid sativa dominant Marijuana, a strain especially appealed to lovers of the Jack Herer family. 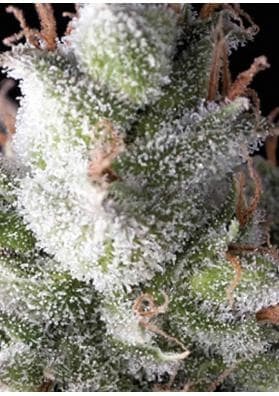 This beautiful plant was created by crossing a selected Jack Herer seed and Haze resulting in a very powerful and tough Marijuana with a great long-lasting psychoactive effect an experience that will leave you well anchored to the sofa for a while. 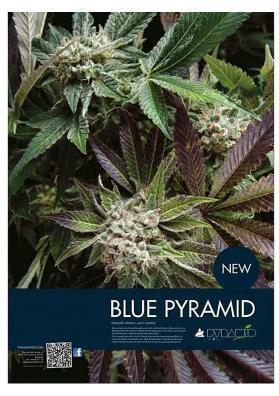 Its has an intense Haze flavour and an aromatic and penetrating incensed smoke. Due to its potency we recommend to smoke it in a moderate way as otherwise you will end up with a good blackout! It is something complex in respect of the feeding, it shouldn't be used substrates too rich in nitrogen and during the flowering period the pH level of the irrigation water should be adjusted between 6.5 and 6.8. If you follow these guidelines, you will get a great amount of buds not too dense and compact but extremely powerful. In a growing room, Lennon reachs heights ranging from 90-180cm and in 75-80 days you can get yields of 600 grams per square meter. On outdoor growing it develops like an oversized plant reaching between 1 meter and 2 meters and half with a high yield ranging from 300 to a whopping 1800 grams per plant and harvest in ealrly November.